Blogliterati.com had an opportunity to try out an exquisite menu this week in the gorgeous restaurant as Head Chef Antonio Iacovelli curated an exclusive seasonal menu especially for the season. Comprising six carefully-crafted dishes, pizzas, pastas, ice cream and more are served with a four-gram shaving of pungent, flavourful Italian black truffle – one of the world’s most expensive foods, due to its rarity. The truffle-adorned gourmet dishes include a sea bass carpaccio served in an almond sauce with stracciatella cheese; a potato cream, veal bacon and egg yolk pizza; handmade tagliolini pasta served in a wild mushroom ragout; burrata stuffed ravioli with beurre noisette and parmesan cream, and Black Angus striploin steak with cauliflower and toasted hazelnut. And you can even try a truffle-infused dessert – the vanilla ice cream with creamy caramel chocolate is a must try. La Vigna looks straight out of a street in the Italian Countryside sporting a totally relaxed and old school vibe with wooden furniture, traditional paintings and décor, chequered table cloth and classic italian music playing in the backdrop. The location itself is quite out of town in a sense and Century village is away from the maddening rush hour traffic and din. So in that sense a perfect place for a traditional and authentic Italian restaurant. As we took our seats we were served with garlic and focaccia bread – both of which were fresh and hot. Followed that up with some delicious and slurpy creamy mushroom soup which was a fine blend of mushroom and chicken morsels. Probably the second best mushroom soup, ive tried in Dubai. Pai Thai, the gorgeous thai restaurant in Souq Madinat is celebrating Koy Krathong and Blogliterati.com was invited for a review last night. One of the most authentic and idyllic Thai restaurants in Dubai, Pai Thai is celebrating this festival in inimitable style with a limited-edition sharing menu, giant floating ‘Krathongs’ and a decorated abra that will stage traditional dance performances to entertain guests throughout their meal. Gunaydin : A Turkish Steakhouse Restaurant by the Souq like no other! They say in Dubai you can't go wrong with Turkish food! Its probably true because Turkish food has been around in the UAE for longer than anyone can remember. Right from the delicious Kepabs and Doners to the toothsome Bakalava and Kenefe - Turkish cuisine has remained an indispensable part of the UAE culinary gastroscape, so to say. There are umpteen choices for experiencing authentic Turkish cuisine in Dubai and in my opinion Gunaydin is probably one of the best and most popular recommendation by anyone who knows Turkish food well. Established in 1965, Günaydın began as a small butcher shop in İstanbul and slowly grew to become one of Turkey’s unequivocal leading meat brand ever since. Starting the Steakhouse restaurant concept to showcase its craftsmanship with the most delicious high-quality meats, Günaydın has become the most trustworthy address with over 40 successful restaurants and steakhouses in Turkey. The all-time Spanish favourite restaurant Seville’s is now offering an evening brunch every Thursday and guests can expect to enjoy the best of Spanish tapas made with the freshest ingredients, traditional Paella and lots of Sangria or whatever their preferred tipple is. For someone who has never tried Sri Lankan food before, Ayubowan came as a pleasant surprise to me. 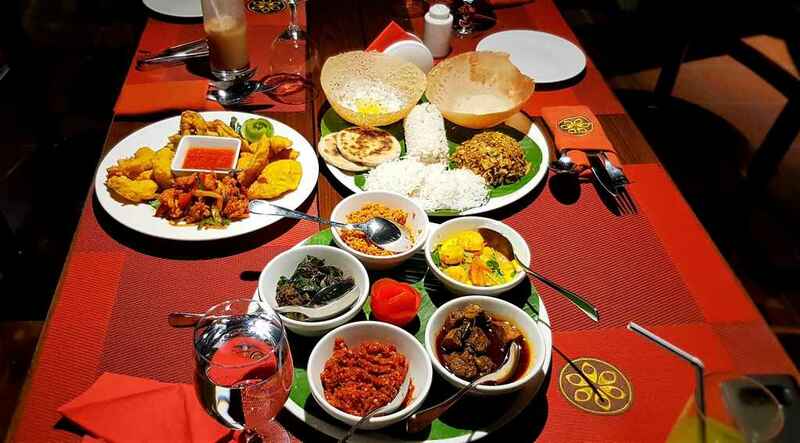 Not only did I enjoy the fare lined up for me, but also gained a new appreciation and liking for Sri Lankan cuisine. And needless to say, the Spice factor was the biggest bonus for me. As an Indian who appreciates extreme spicy food, I enjoy every indulgence with loads of peppers, chilies and spices but unfortunately in Dubai many of the fare presented in five-star hotels are usually to suit the western tastes – or in other words Chilly is the las thing in the ingredient. So when I get a chance to indulge in some spice, I take it on. We started off with some complimentary shots of Ambarella and tender coconut juice before going on to the starters. Global restaurant brand Wagamama opened its 7th restaurant in the UAE at Dubai’s Marina Mall and blogliterati.com was invited to review this newest property. 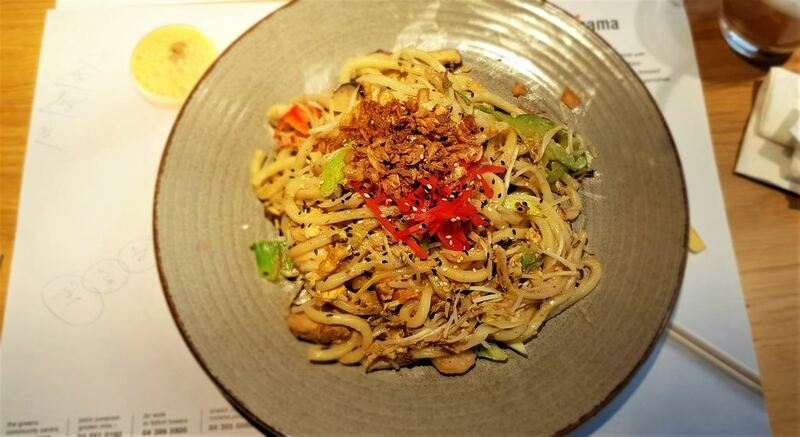 Offering fresh, Japanese-inspired dishes to residents and visitors Wagamama recenty also introduced its breakfast menu to the Middle East for the first time. It is available daily from 8am until 12 noon exclusively at this newly launched outlet at Marina Mall. On weekends in the breakfast menu is also available in other Wagamama restaurants. We met Christopher Fernando - Wagamama's super friendly general manager who spent some good amount of time with us, explaining about his concept, the brand and what makes Wagamama one of the most popular eateries in the UAE.